A man from the country and his troupe arrive for the "problem-solving" show of a fictional national television channel. 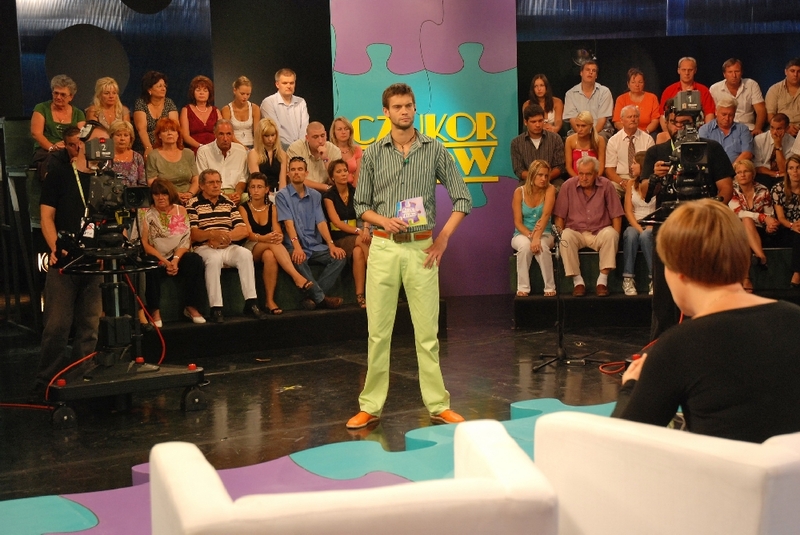 The theme of the talk-show is entitled: "Today I get my family's act together". The protagonists are brought together by the sister of the man, whom he has not seen for six years. Everybody is driven by pent-up emotions and the only character able to see the situation clearly is the barely adult lover. Two tragedies are presented in parallel in this film. A tragic story of a love triangle - the one poetically elaborated on by Milán Füst in his drama - and "the drama of the drama", or how a personal tragedy can become a commodity and a media sensation if viewers are relieved of the inconvenient "repercussions". Add to this a Western European investor, attracted to the lure of the Eastern European media market and the profit it promises. Nothing else really matters anyway.